The work and dedication of Leicester-based cancer research charity Hope Against Cancer was celebrated this September, winning two prestigious awards recognising both their contribution to the community and inspiration to others during an extremely successful month to remember. 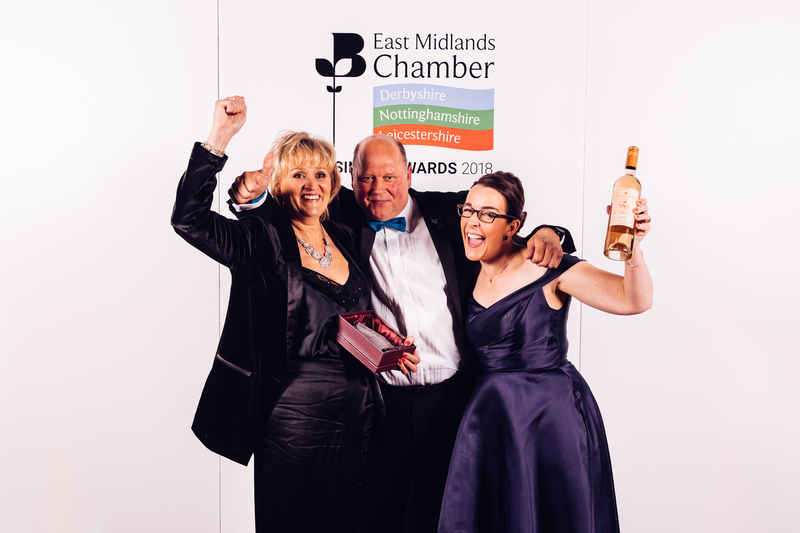 The first award of the month was celebrated at the East Midlands Chamber of Commerce Leicestershire Business Awards, where Hope Against Cancer were presented with the ‘Community Impact Award’. This category was open to organisations which had demonstrated continued commitment to supporting the local community and the good causes within it. Following this fantastic achievement for the charity, Hope Against Cancer’s Corporate & Events Fundraiser Tracy Hallam was named ‘Inspirational Woman of the Year’ at the Leicester Mercury Women in Business Awards. The Women in Business Awards celebrates the success of businesswomen across Leicestershire and the contribution they have made to the local community. Tracey, who was also nominated for the Contribution to the Community Award, has been instrumental in raising the profile of the incredible work Hope Against Cancer does in funding local cancer research and supporting the people it affects through organising and managing various fundraising events which are always well-supported by the Leicestershire community. Tracey wasn’t the only Hope Against Cancer member taking home an accolade at the Women in Business Awards. Eileen Richards, who is on the charity’s Board of Trustees, won the highest honour of the night; the Businesswoman of the Year Award. Eileen has been a passionate supporter of the charity’s work, and everyone at Hope Against Cancer was quick to celebrate Eileen’s outstanding achievement. The success at these awards truly puts Hope Against Cancer’s funding of life-saving research in the spotlight and will help them to continue funding research projects and supporting clinical trials in Leicestershire and Rutland. Further information about the work that Hope Against Cancer does can be accessed at: http://hopeagainstcancer.org.uk/.